Arsenal striker Pierre Emerick Aubameyang is in line to start against Napoli after illness restricted him to only a substitute appearance against Everton last weekend. Captain Laurent Koscielny (foot) and Granit Xhaka (Groin) will face a late fitness test to see if they will be able to play. For Napoli, forwards Lorenzo Insigne and Simone Verdi have been included in the match day squad following recent injury absences. With the two in the team, Napoli almost have a full strength squad to choose from for the game. Arsenal have reached the quarter-final stages of European competition in consecutive seasons for the first time since 2008-09/2009-10 in the Champions League. The Gunners knocked out CSKA Moscow at this stage of the Europa League last season (6-3 on aggregate) before falling to Atletico Madrid in the semi finals. Arsenal have been beaten just once in their last 17 home games in the UEFA Cup/Europa League (W12 D4) – losing 1-2 to Ostersunds FK in the last 32 in 2017-18. Napoli have reached the quarter finals of the UEFA Cup/Europa League for the third time in their history. They fell at the semi-final stage in 2014-15, but won the competition in 1988-89 with a side featuring Diego Maradona. They have never beaten an English side away from home in European competition (P8 W0 D1 L7) – they have previously lost in such games against Burnley, Leeds United, Liverpool, Chelsea, Manchester City and Arsenal. Daniele Bonera is expected to miss out for Villarreal after only lasting 28 minutes at the weekend before coming off. Pablo Fornals and Alvaro González will be fresh on Thursday after sitting out at the weekend through suspension. Karl Toko Ekambi, Carlos Bacca and Gerard Moreno all recovered from injury to feature in Villarreal’s defeat to Real Betis on Sunday. Jaume Costa, Miguelón, Javi Fuego, Manu Trigueros and Bruno Soriano remain injury concerns for the Yellow Submarines. Daniel Parejo and Facundo Roncaglia return from suspension but have now lost Carlos Soler to a one-match ban. Francis Coquelin and Rubén Sobrino are injury concerns for Valencia but neither were expected to start on Thursday. With Daniel Wass expected to replace Soler further down the right flank, Cristiano Piccini should be safe to start at right-back. Goncalo Guedes and Denis Cheryshev are in competition for a starting berth on the left flank. Villarreal and Valencia have met in European competition twice before – in the two-legged semi-final of the UEFA Cup in 2003-04. Los Che eked out a narrow 1-0 aggregate victory, before going on to lift the trophy. This is Villarreal’s fifth appearance in the quarter-finals of the UEFA Cup/Europa League. They have reached this stage previously in 2003-04, 2004-05, 2010-11 and 2015-16; only in 2004-05 were they eliminated, by AZ Alkmaar. Valencia have reached the quarter-final phase of the UEFA Cup/Europa League for the ninth time, progressing at this stage in three of their last four attempts. Villarreal have won just one of their previous eight all-Spanish European games (D2 L5), defeating Atletico Madrid 2-0 at home in the first leg of the UEFA Intertoto Cup final in August 2004. Valencia have been beaten only twice in their last 11 games in the Europa League (W8 D1), but both games were away to fellow Spanish sides (0-2 vs Sevilla in 2013-14 and 0-1 vs Athletic Bilbao in 2015-16). Jonas is suspended for the first leg of Benfica’s quarter-final clash with Frankfurt, which means Joao Felix and Haris Seferovic will be safe to start up front for the home side. Tyronne Ebuehi, Gabriel Pires and German Conti are all expected to miss out for Benfica, though only Pires would have been in line to start against Frankfurt. Adel Taarabt has come back into favour in recent weeks but will drop down to the bench and possibly out of the squad in midweek. Luka Jovic is free to play against Benfica despite being on loan from the Portuguese outfit. Martin Hinteregger came off 38 minutes into Frankfurt’s 2-1 win away to Schalke at the weekend and is unlikely to feature here. Evan Ndicka is his likely replacement. Jonathan de Guzmán didn’t last much longer on Saturday before being replaced and is also a doubt. Gelson Fernandes returns for Frankfurt after missing their last Europa League match through suspension. Ante Rebic, Lucas Torro and David Abraham have all recovered from injury since Frankfurt last played in this competition. Benfica did eventually make it through to the quarter-finals, though they made hard work of seeing off a determined Dinamo Zagreb side. Having been forced into extra-time by the Croats, Thursday’s Portuguese hosts may find it tough against a Frankfurt side that proved just how good they are when beating Inter Milan at Stadio Giuseppe Meazza in the last-16. Since dropping out of the Champions League, Benfica, who reached the final of this competition in both 2013 and 2014, have underwhelmed. They are of course in the last eight, though their efforts haven’t exactly been impressive. They edged past Galatasaray in the last-16, failing to score in front of a home crowd, while they required an extra 30 minutes to see off Dinamo Zagreb in the previous round. Going forward, Benfica have looked somewhat tame since dropping out of the UCL, especially on their own patch. They failed to score when hosting Galatasaray in the last-16, while they only notched once before extra-time against Zagreb last time out in this competition. Moreover, their creativity numbers have been poor, as they posted 0.91 expected goals for against Galatasaray and just 1.14 in 130 minutes in the previous round. Such numbers don’t exactly point towards home goals on Thursday. Fortunately, Benfica have defended very well in front of a home crowd. In fact, they’ve done an excellent job of preventing their opponents from creating, as they’ve surrendered just 0.22 and 0.74 expected goals in their two home UEL home matches this season. Those two matches combined saw Thursday’s hosts give away a total of just four shots on target, which is a big part of why they’re yet to concede a goal on home soil. Unlike the hosts, Frankfurt have scored plenty of goals in the Europa League this season, especially away from home. However, their underlying numbers would suggest that they’ve been a tad fortunate to score as many as they have. Adi Hutter’s men have scored an impressive average of two goals per away match, but they’re averaging 1.39 expected goals for, which isn’t as impressive. To breach a very strong Benfica side, they may need to offer more in terms of creativity. Defensively, in terms of chances given away on the road, Frankfurt haven’t presented their opponents too much, despite what several of their results would have us believe. Thursday’s visitors have conceded an average of 1.22 expected goals on their travels, while they’ve surrendered numbers of just 0.7 and 1.3 since the beginning of the knockout rounds. 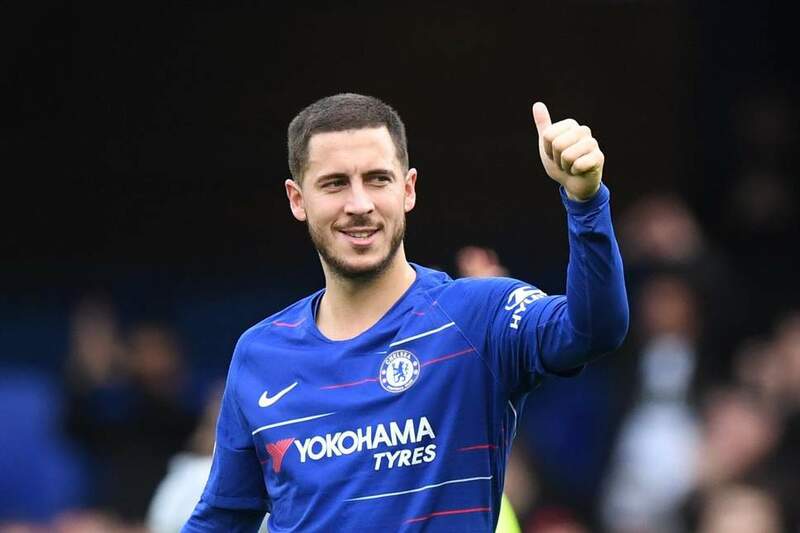 Eden Hazard could be rested for the game after Chelsea manager Maurizio Sarri confirmed that the forward is tired.Marcos Alonso is also a doubt but has been included in the match-day squad. Long term absentees Marco Van Ginkel and Ethan Amapadu remain out. Hazard may be rested on Thursday. This will be the first competitive meeting between Slavia Prague and Chelsea. The Czech side have won just one of their previous nine games against English sides in Europe (D2 L6) – this coming against Leeds United in March 2000 in the UEFA Cup (2-1). That home victory over Leeds was Slavia Prague’s most recent game in a European quarter-final; they were eliminated having lost the first leg 0-3 at Elland Road. Their only progression from a European quarter final was in the 1995-96 UEFA Cup against Roma (3-3 on away goals). This is Chelsea’s 10th European quarter-final since 2003-04. The Blues have progressed from nine of those ties, only being eliminated by Manchester United in the Champions League in 2010-11. Chelsea have won more games (nine) and have a better goal difference (+21) than any other side in the Europa League this season. Chelsea striker Olivier Giroud is the top scorer in this season’s Europa League with nine goals. The last player to surpass this figure in a single Europa League season was Aritz Aduriz, who netted 10 goals for Athletic Bilbao in 2015-16.